There were a couple of good things, but overall, I was disappointed. 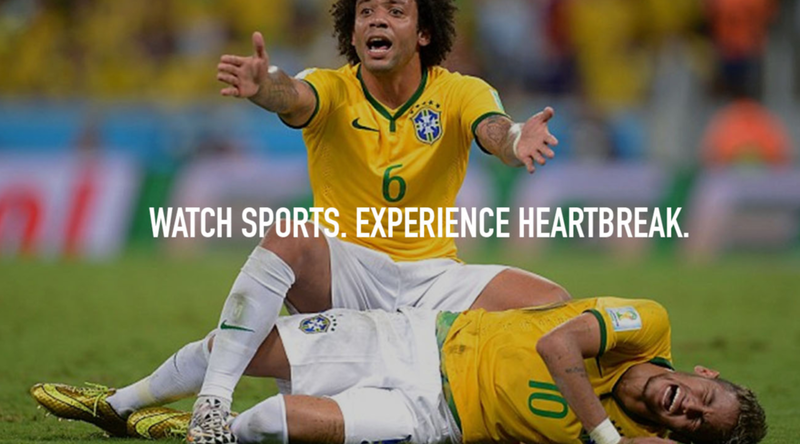 I was disappointed because most people didn't deep dive into what sport means to people. They didn't attempt to understand the psychology and the reason for our deep connection to sport. They missed out on the humanity of sport, the fact that in a world where we are increasingly alienated, sport offers us a moment to come together, a moment to be human. They didn't write with passion about their subject, but rather turned to glib media or tech-based ideas as solution to the brief. Just move me, dude. Dan Wieden said that, and I think his words apply here. Forget the tech, forget the media choices, and get heart of what you do." There were no Professional or Student Golds awarded this round. There were no Professional or Student Silvers awarded this round. Watch Sports. Feel Something Real.